Perth Liquid Limestone is a proud liquid/poured limestone specialist, proving driveways, pathways, pool surrounds and patio paving Perth. We specifically lay Liquid Limestone and no other forms of concrete. This enables us to deliver top quality work day in day out due to our specific depth of knowledge and experience in this area. Having a Strong focus on providing excellence in customer service and a commitment to quality and innovation, Perth Liquid Limestone is the premiere supplier of Liquid Limestone to the limestone paving Perth market. 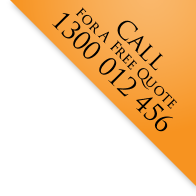 Perth Liquid Limestone endeavours to deliver the best quality products and services on offer to customers at the best prices while supporting a brand that people can trust. Perth Liquid Limestone also actively recruit energetic, self motivated staff that are supported with quality training in the belief that our staff are the key to our success. Perth Liquid Limestone’s attention to detail will ensure your ultimate satisfaction . Couple this with the company’s uncompromising work ethic along with the company’s depth of experience and it is easy to understand why the vast majority of our work is from existing client referrals. We welcome feedback and are continually looking to excel further in our industry. We encourage the opinions of our valuable customers and staff alike. “I undertake to deliver an exceptional job to each and every client and promise to provide unparalleled value for money”. "Just wanted to say it was a pleasure dealing with you. You are very polite and exceeded my expectations." "I just wanted you to know that our property has never looked better. What an amazing job your crew does! Very professional, hard working and show great pride in their work." "We would like to say thank you for the professional manner in which you have dealt with the laying of our driveway. We are delighted with the end result." "Just wanted to thank you again for doing such a great job. Keep up the good work." "Thank you for such a great service and results. I've passed your name on. Cheers." "So pleased with the finished products, I’ve told all my friends about it."